How Does a Garage Door Sensor Work? Choosing a garage door opener can get complicated if you haven’t shopped for one in a while. Garage openers are offered in a wide variety of styles and come with various safety features and operating mechanisms. The two main types are overhead openers and wall-mount openers. Your garage door size and style and the height and shape of your garage ceiling will dictate which type to choose. Overhead openers are popular choices for residences. Overhead garage door openers have a ceiling-mounted motorized operating system. A rail track is mounted on the ceiling and a pulley-like lift is driven by a chain, screw-drive, or belt mechanism. Chain systems are the most common types of units used in homes. They have long ropes of chains similar to the chains found on bicycles, and these chains glide along the track and lift the door. Screw-drive systems have a bar that glides along the track and opens the door. Belt systems use rubberized belts to lift the door up and lower it closed and are considered the quietest overhead garage door opening mechanism. Wall-mount garage door openers are typically used in garages that won’t accommodate the rail tracks needed for a conventional overhead garage door opener. Garages with low ceilings or irregular shapes, such as a cathedral ceiling, are examples of the types of garages where a wall-mount system is appropriate. Instead of the rail track, wall-mount systems have belts that attach to the side of the wall next to the garage door and the garage door torsion bar. The use of belts gives wall-mount systems a quiet operation. Overhead and wall-mount units are similar in terms of safety and convenience features. Either type can be activated by a remote control device, a manual opener doorbell-style unit mounted on a wall inside the home or garage, and by keyless entry devices. They also utilize infrared safety monitoring devices to prevent the doors from accidentally closing. This safety feature is an important consideration for owners who have children and pets. Older units built before 1993 do not have this feature. Another safety feature newer units share is rolling code technology. This changes the code that operates the remote control each time the door is opened. 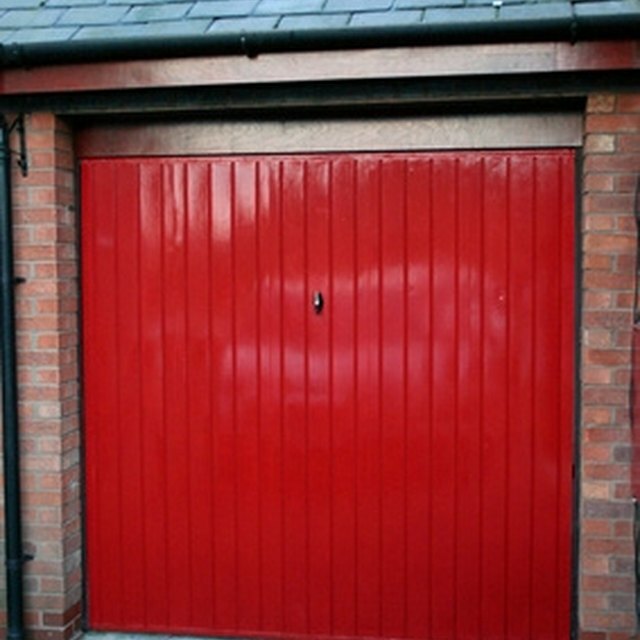 As a result, thieves can’t hack the code to open the garage door. Overhead door openers can lift heavy doors and gatefold-style carriage doors. Wall-mount doors are not powerful enough for heavy doors, and because the lift mechanism is attached to the garage door, it won’t work on a carriage door or a garage door style that opens from the center. However, wall-mount units do have a security advantage over conventional overhead openers. Wall-mount units are less visible and don’t have a cord hanging from a ceiling track. As a result, they can help deter would-be home invaders from using a technique called “cord grabbing,” whereby intruders use a common coat hanger to grab the cord that hangs from conventional overhead opener and lift the garage door open to gain entry to homes. Wayne Dalton: Garage Doors 101: Which Garage Door Is Right For Me? How Do Retractable Cords Work?